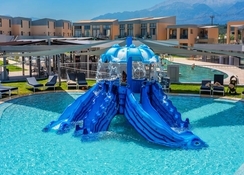 Kiani Beach Resort is a family-friendly resort in Chania, set opposite to the Kiani Beach. 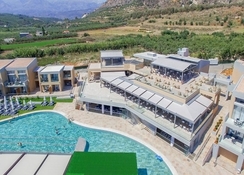 This resort is just a short distance away from the Kalyves village. The hotel is one of the best places to stay as a family. The services and facilities in the hotel are available in abundance that will ensure a relaxing vacation for families. This 5-star resort comprises a lovely outdoor swimming pool, where the guests can soak up the sun while taking a refreshing swim. The best and the foremost aspect about the hotel is the Kiani Beach Spa, where you can avail various massages and beauty treatments under the hands of expert masseurs. 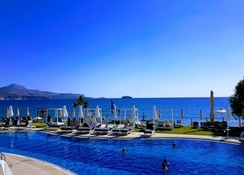 Kiani Beach Resort is situated in Kiani Akti Chania, Greece. Guests in the hotel can enjoy magnificent views of the mountains. It will be an exciting stay for the beach lovers and water-sport enthusiasts as there are numerous beaches very close to the hotel. The Chania International Airport is about 22.4km from the hotel, making it convenient for guests to reach on time. The rooms in the hotel are comfortable, white and bright and they offer magnificent views. The room types include superior family room, superior double room, double room, family room mountain view, family room sea view, maisonette loft limited sea view, maisonette loft sea view, superior maisonette loft, junior suite limited sea view, junior suite sea view and superior two-bedroom apartment. The dining and drinking facilities in the hotel are available in abundance. 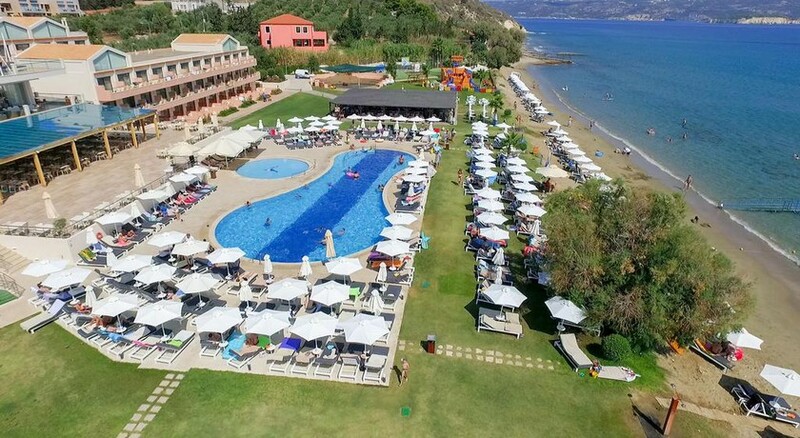 Take a look at the bars and restaurants in the hotel: Syposium Restaurant, Beach Bar Dionysos, Pool Bar and Pool View Restaurant. If you want to explore, then there are many restaurants spread around the hotel that offer various delicacies from across the world. The Kiani Beach Resort has a massive swimming pool, where you will also find sun loungers to relax and have refreshing drinks. The Kiani Beach Spa is the best place to be for getting yourself pampered. Children can also have a lot of fun in the children’s area under the supervision of the hotel’s staff members. Love love love Kiani beach resort!!! Great pools, food, staff, location, rooms everything! The Hotel is in the process of being extended to, at least double the size. The building work is across a lane at the back of the Hotel but does take place 7 days a week so if your room is at the back, the balcony is unusable. We complained and were given a sea view room at no extra charge. The rooms are an excellent size & well furnished. The food is as expected - buffet fare neither very good or very bad - definite shortage of staff in dining room. The all-inclusive drinks were plentiful & of a good quality. The Hotel is not very near any village or town(Chania) there is a daily shuttle but it costs €10pp. A hire car is a good idea as there is a lot to explore & roads are well maintained.